There are dozens of ways to enjoy books and reading with South Lanarkshire Leisure and Culture Library Service. With fun events and activities for children of all ages to help build literacy, confidence, communication and social skills, you can give your kids a head start. You can keep your tots jolly, whether it’s with crafts, Little Steps for Little People or Bookbug sessions and story times. There are after school and weekend clubs for school-age children too. Your child will be learning and having fun at the same time. You can even make your child’s birthday one to remember by booking a birthday party with us! You can choose your theme – Pirates, Princesses or Teddy Bears at Rutherglen, or Princess and Pirates, Pirates, Princess and Knights, Teddy Bear, Winnie the Pooh or Frozen at Greenhills. Whichever you choose, it will be a birthday they’ll never forget! Kids can join one of our phenomenally popular Minecraft clubs, or come along to our great seasonal events like Halloween parties and Christmas crafts - not forgetting our awesome summer events programme! Remember – you can use your ACE membership in libraries too! Visit our ACE Children's Activities timetable, to discover what we can offer you. You can book an activity online or by contacting your nearest library. 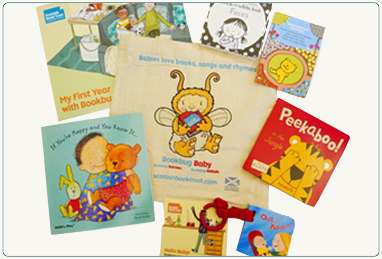 Discover what Bookbug is and how it can enhance you and your child's life, by watching this short video from the Scottish Book Trust. It’s no secret, children who make the most of their lives are users of libraries - it’s a proven fact! With South Lanarkshire Leisure and Culture's libraries you can borrow a range of material from books to DVDs to language courses. Find out how much you can borrow.